This year, for the first time, The AfroNews has compiled a list of remarkable Black women in the UK who have made a great difference in different sectors. While of most of them are social activists leading the fight for human rights, fight against racism and other forms of discrimination, others are doing brilliant work in the charity and voluntary work sector. At the same time, others are a source of inspiration in entertainment and sports, etc. We know that there are many other outstanding Black women in the UK who deserved being included in this list. In fact our team found it very hard to come up with this list because of hundreds of exceptional candidates we had at the beginning. We would therefore encourage those who have not made it this time to continue doing good since we will be observing their achievements while preparing the next list of Top 12 African & Caribbean Women of the Year in UK. “As a newspaper committed to promoting the positive image of members of the Black Community in the UK, we find it right to celebrate these women who have excelled in different fields. This is our way of encouraging and thanking them for their good work, while at the same time challenging others to follow their footsteps,” said Stephen Ogongo Ongong’a, Editor of The AfroNews. Muzvare Betty Makoni (BA Gen, BA Special Hons) is Founder and Chief Executive Officer of Girl Child Network Worldwide. Muzvare(Her Royal Highness Fourth Generation of women of the Royal Family of Makoni in Manicaland in Zimbabwe. Officially conferred with title on 1 June 2001. Recently she was selected to be in the team of UK experts for Preventing Sexual Violence Initiative for FCO as a gender based violence expert. In her many high profile titles, millions across the world passionately call her CNN Hero as she was the top in 2009 category for Protecting the Powerless and was honoured by UNIFEM Goodwill Ambassador Nicole Kidman. Betty Makoni has over 40 global awards including Decade Child Rights Hero Alongside President Nelson Mandela, Ashoka Fellow as part of Global Network of social innovators who have changed lives in their communities and beyond. 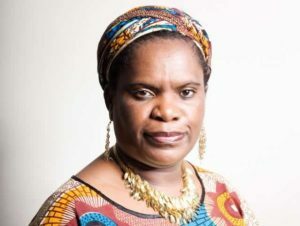 Muzvare Betty Makoni maybe the highest globally awarded African woman in the world. Many awards from the grassroots level like National Contribution in Zimbabwe to United Nations Red Ribbon honour her work for excellence, innovation and passion for girls and women`s rights. She was selected amongst 150 women who shake the world-News of the World-2011, Top 12 List of African Caribbean Women in UK and Europe-AfroNews 2013 was featured in Metro UK as Woman of Courage -2012. She is a Published Author, Poet and Well Sought After Speaker, Mentor and Coach. It is believed that Muzvare Betty Makoni work features on all major mainstream media around the world making it the most globally covered work of one of the once poorest girls in the world of the 1980s..